"If you read Lynne's blog (Lily's Quilts) you will know that her sponsors regularly give out fabric to folks who can come up with creative ways to use and promote their fabrics. 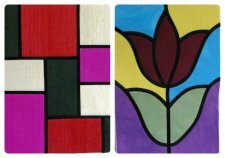 My suggestion to use some glamorous Oakshott Silks in a Twin Needling Stained Glass project was chosen and I was very kindly asked to write a tutorial. And here it is! 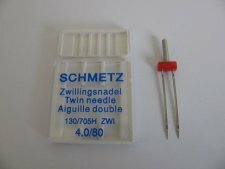 "Twin needling is sewing with 2 needles in your machine, and 2 spools of thread, at the same time! When you get the hang of this technique, it is so much fun, and the possibilities are endless. 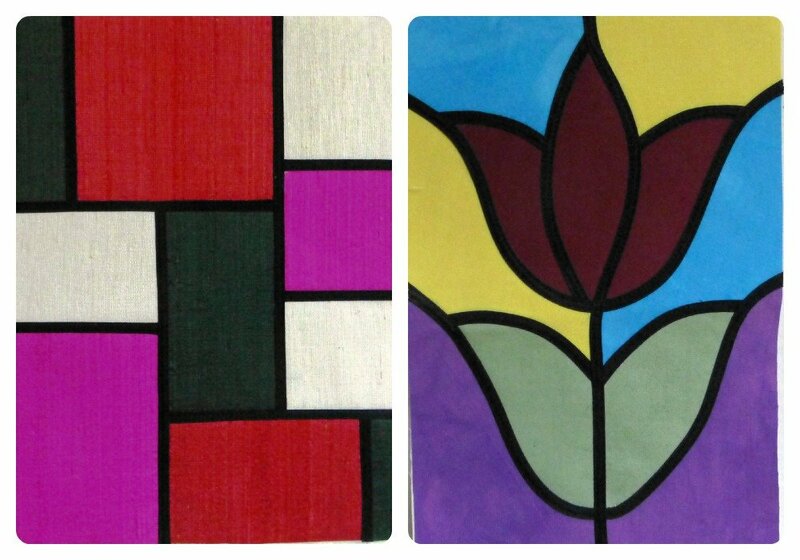 The most common way to use twin needling to great effect is in Stained Glass Windows patchwork. The bit that you are twin needling is the 'leading' otherwise known as Fusible Bias Tape."